What’s better than chicken chili?? 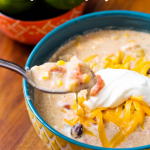 Rockn’ Crockpot Chicken Chili! 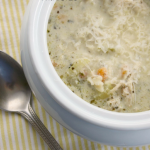 This easy crockpot chicken dump recipe will have your whole family coming back for seconds! 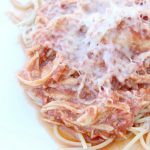 My favorite mid-week meals are ones that are super easy to throw together and have simple ingredients that I usually have on hand at any given time. Life is crazy enough without making it harder by having to make a meal that requires a lot of time! I really do enjoy the process of cooking a beautiful full meal. But some days ain’t nobody got time for that. And instead of hitting up the closest drive thru. 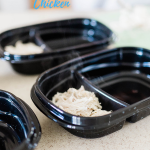 With a little prep and minimal effort, you can get a fabulous meal on the table in less time than it would take you to get take out! I am ALL for that! Some may call it lazy; I call it smart! 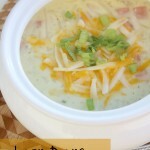 Awhile ago I stumbled upon this yummy recipe for Crockpot Chicken Chili on Rita’s Recipes. How could you go wrong??! The recipe looked like a winner, so I gave it a try. The first time I made it was good, and my family gobbled it up. But by nature, I am a constant tweaker. I tweak with a recipe until they are perfect! 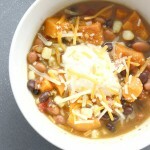 So after a couple of my infamous tweaks, I found the winning combination for the best crockpot chicken chili. 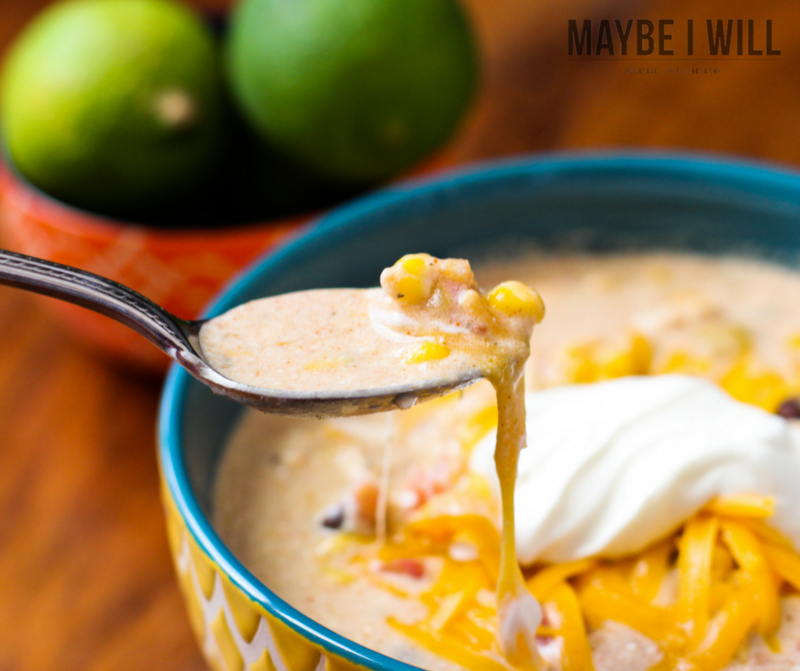 It has a strong southwestern vibe which makes it sooo good! I know summer is upon us and you might be wondering why I am posting a chili recipe that is typically reserved for fall. I firmly believe Chili is a dish that can be eaten YEAR round! And with fresh lime squeezed on top, some sour cream, avocados, and fresh cilantro this can be a fresh and light summer dish as well! 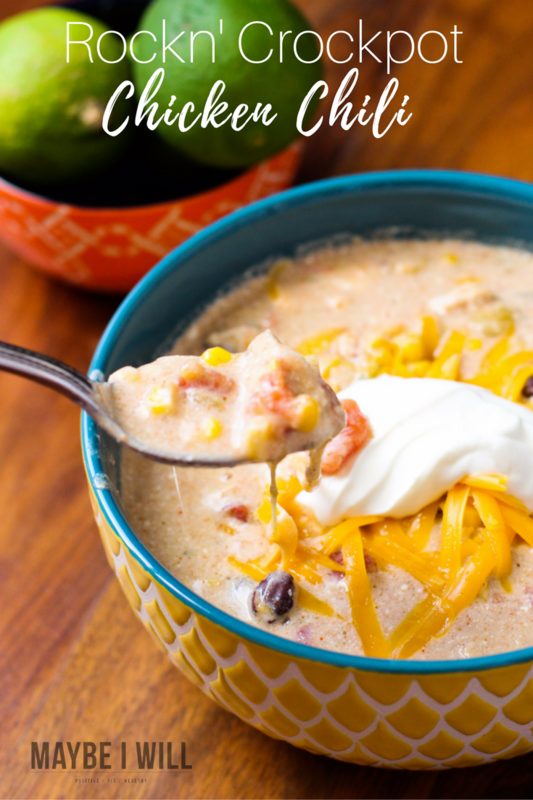 This easy ROCKN' crockpot chicken chili recipe will have your whole family coming back for seconds! Shred the chicken into large pieces. Garnish with limes, cilantro, avocado, cheese, sour cream, and chips!!! Trust me peeps this one is a keeper!!! I mean just look at it!! And with healthy tomatoes, black beans, and corn – my kiddos are getting a “healthy-ish” meal that I can be okay with and that they are excited about veggies and all! 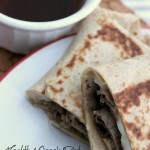 For more “EASY family friendly Dump and Go Crockpot Meals” Check these out! 6 Quart Slow Cooker – This is the perfect size for families! And with the snap on lids, it will help prevent spills and can be brought to BBQs and Potlucks easily! Prime Pantry – I love Prime Pantry! It is an excellent way to ensure that all the tings I need are always on hand for a great price. Usually, there is a coupon or a discount available. For those who do not have access to a Costco or Sam’s Club, this is an excellent way to buy in bulk and have it show up right at your door! They are still a little limited on some things, but their inventory is always growing. « 3 Healthy Tuna Recipes That ROCK! Gotta try this one. 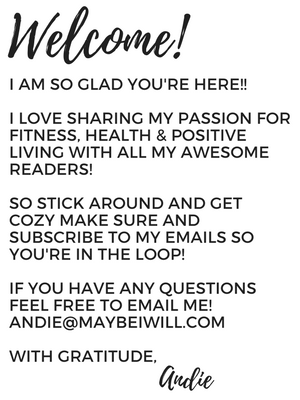 Love checking out your blog! Keep the yummy recipes coming! I totally made this last night and it was Deeeeelicious! Everyone loved it and my very picky 6 year old even had two helpings because it was &quot;so good!&quot; Thanks for the great recipe! Love your blog!